Nancy Forrester Hoag Mollenhauer, 86, of Marietta, Ohio, died Saturday, October 13, 2018 at Marietta Memorial Hospital. She was born on January 28, 1932 in Brooklyn, NY, to Forrester and Helen Flagler Hoag. Nancy graduated from a boarding school in Carmel, NY, attended a Seminary for girls and then attended the University of Connecticut. She retired in November of 1994 after over 16 years with the City of Marietta, where she started in the Recorders office and then the Engineers office. Nancy was a member of St. Luke's Episcopal Church. She is survived by her three children, Douglas Thompson (Karen) of Marietta, Laura Budd of Bethel CT and Gary Thompson (Marsha) of Wethersfield, CT; two grandchildren, Ryan and Kelly Budd; great grandson, Ethan Thompson; brother, Bruce F. Hoag (Sandy) of Palm Coast, FL; and many nieces and nephews. She was preceded in death by her husband, James Leonard Mollenhauer, whom she married on April 24, 1976. Memorial services will be held at 10:00 a.m., on Thursday, October 18, 2018, at St. Luke's Episcopal Chruch, with The Rev. Gene Sheppard celebrating. 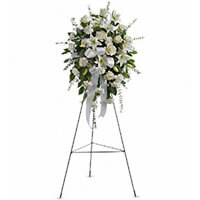 Inurnment of her ashes will be in the church columbarium in their memorial garden. Family will greet friends immediately following the service. Cawley & Peoples Funeral Home is honored to serve and assist Nancy's family with cremation services. 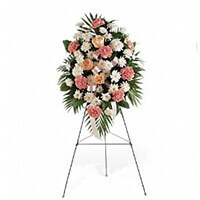 To send flowers to the family of Nancy Forrester Mollenhauer (Hoag), please visit our Heartfelt Sympathies Store. Family will greet friends following the services at the church. Nancy was a secretary for The Marietta Recreation Department for several years. She was a very conscientious, loyal, hard working employee with whom I enjoyed having on our team! After leaving the Recreation department she moved over to Engineering department where she also was an asset to the city of Marietta. We remained friends and always enjoyed any time we could spend together. Her son Doug also worked many sporting events for the Recreation department and we were very happy to have him be on our team as well. My sincere condolences go to her family. You can be very proud of Nancy's contribution to our community and know that she was so respected!! Nancy was a wonderful lady. I really enjoyed her friendship and her great work attitude. Bowling with her and Jim was a hoot.